One doctor visit changed our family’s routine. Read more about why My Doctor Recommended Ivory for My Child’s Diagnosis. This post is sponsored by Ivory, but all opinions are my own. I remember sitting in the doctor’s office with my 4-year old daughter that day, my hand softly caressing hers. She has such soft baby skin, I thought. We had been sent over on an urgent referral from her pediatrician, and I was a nervous wreck. (We’ve had a history of health scares with my daughter. Remember THIS post?) As I looked around the office I realized, she was the youngest patient in the waiting room that day – times five. As the minutes painfully passed, the doctor finally came in. My daughter had a new diagnosis. Molluscum Contagiosum. A viral skin disease was the cause of my daughter’s itchy, inflamed and bumpy rash all over my daughter’s legs. I remember filing the skin disease name in my mind. It wasn’t one I had come across in my pediatric nursing years. That meant I had to listen intently as the doctor sat us down for treatment recommendations. I was tense, perched on the end of my chair as we discussed our next steps. The doctor immediately recommended that we change out all of her lotions and soaps to let her body heal. I admit that it was hard to give up our usual bath time routine, especially when we had been using the same sweet smelling baby products for years. She loved how they smelled. I love how they made her skin feel oh-so-baby-soft. But then my doctor recommended Ivory Soap, and I immediately relaxed. Ivory is a brand that I’m very familiar with. I used Ivory Original Bar Soap as a child, the scent of my childhood immediately taking me back to happy times and fun bath time memories. 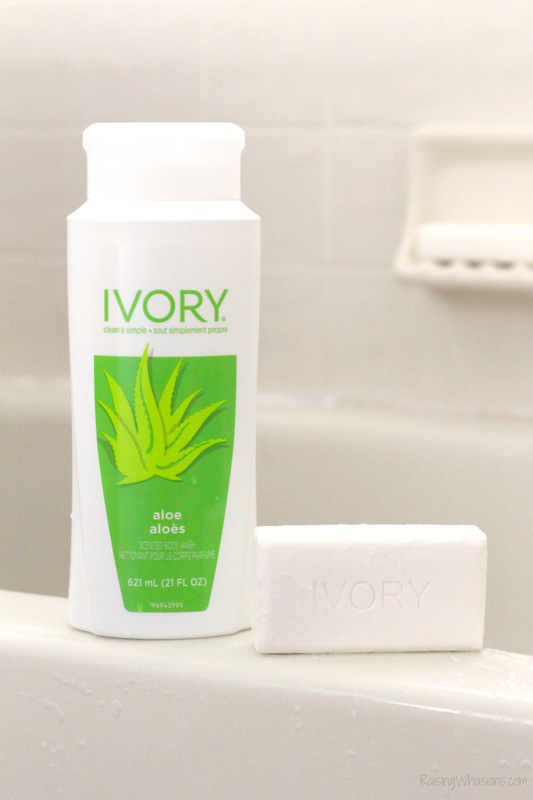 Now as a parent, I trust Ivory to give my daughter’s sensitive skin the pure clean it needs – free of harmful ingredients, dyes and heavy perfumes, pH balanced, and a rich lather that’s safe for my whole family to use every single day. Doctor recommended (hey, even our dermatologist said so) and 99.44% pure and clean ingredients for even the most sensitive skin, we have now changed out all of the soaps in our house to the one my parents trusted for me, and now the soap that I trust for my family. 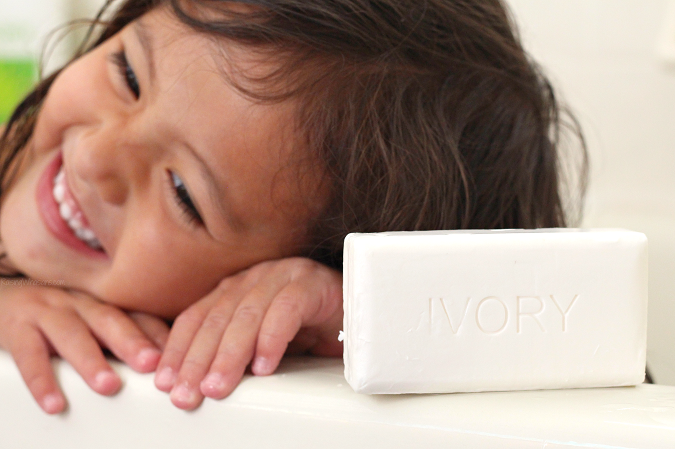 Ivory has been providing families a pure and gentle clean since 1879. I trust the clean choice that Ivory Original Bar Soap has given to me over the years. And now, that same bar will provide pure clean for my daughter, when she needs it the most. We may have a new skin diagnosis, but it won’t stop us from fun bath time memories…especially now that this girl knows that her soap floats! Follow Ivory on Instagram and Facebook to stay up to date with them. 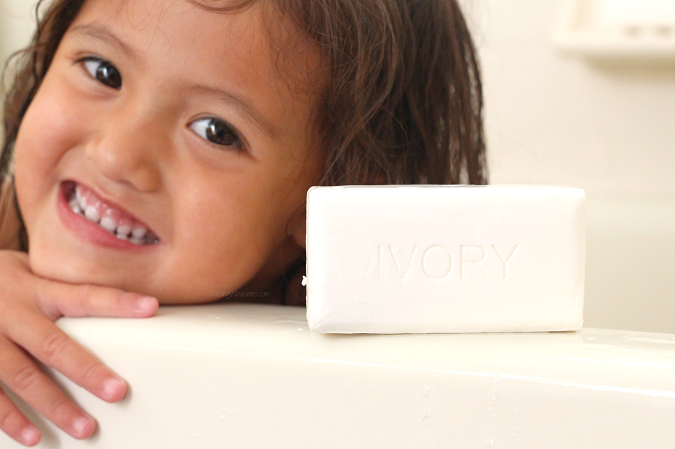 Do you use Ivory soap for your family? How can Ivory give your family peace of mind and a pure and gentle clean? Be sure to follow Raising Whasians via Facebook, Twitter, Google, Instagram, Pinterest and YouTube for more of our honest family moments, parenting tips and more. I am so glad I read this post today! My 8 year old son has bumpy skin and we have tried everything over the years. The docs just sort of said it was eczema and sent us on our way, however we’ve never really found a way to get it to go away. 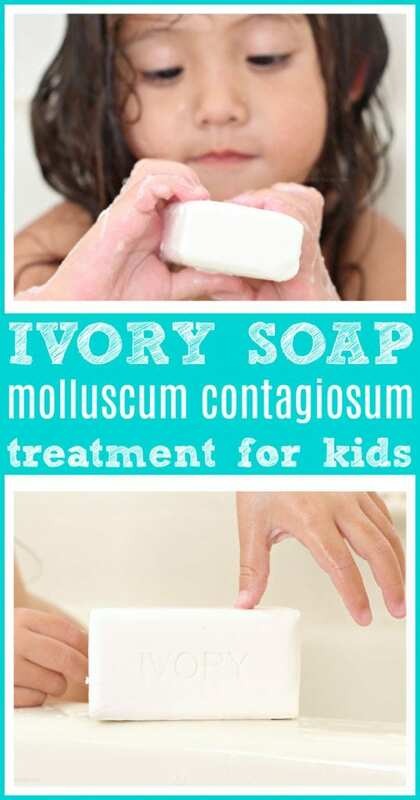 We are definitely going to try Ivory soap! Thanks! You may remember breaking it in half if you’re of a certain age because it came as a scored 7 oz. twin cake. They continued to sell that form for some years after they brought out the separately wrapped “Personal Size” bundles. But the TV commercial was a later one of the athlete breaking a bath size cake in half, akin to the stunt of ripping the Chicago (or other large) phone book in half. My niece also suffers from bumpy skin – I should definitely tell my sister about this! She has tried everything! Ivory soap has been a staple in our house. I really trust Ivory brand soap! Ivory Soap is also recommended to my niece by her doctor and it’s really nice to her skin. I am not too surprised with the use of this product. Ivory has always had very good products. I hope your daughter feels better. Ivory is a staple in our home. I think it’s amazing that it’s gentle especially with the kids’ skin! Ivory is one of those brands that we really trust! We’ve used ivory on and off for years. So this doesn’t surprise me but really is awesome! Hope it helps! I remember using Ivory when I was a kid. Ivory is a great brand! I am sorry to hear about your daughter’s diagnosis. Glad Ivory is helping her skin irritation isues. How awful for her to have to put up with her itchy skin! I am so glad your doctor gave it a name and Ivory gave her relief! This also works great for my child’s eczema. Sorry about your little girl. Ivory is a wonderful thing though. Good luck with it! I am happy you found the right product to use on your daughter’s skin. I am also very vigilant in inspecting my grandchildren’s skin for bumps, irritations and redness. With all the viruses floating around, it is a must that we monitor our children’s health. Ivory is mild and gentle. I remember using it when we get sunburn during the hot summer months. I remember my childhood days! My mom always bought Ivory soap. It is so mild and gentle on our skin. It is good that you found a soap that would help with your daughter’s skin irritation. The TYPE of soap is not as important as that the other members of the household not use the same cake of it. “Change out all the soap” that she’s used in the house makes sense that way. Or use liquid.